The Leading Japanese machine trading company in Indonesia, PT. Kanematsu KGK Indonesia is subsidiary company of Kanematsu KGK Corp., Tokyo in Japan who has 19 domestics offices in Japan and 12 overseas offices in USA, China, Thailand, Vietnam, Taiwan, Czech Republic and Indonesia. Since its foundation in 2013 as a machine tool trading house, our company, PT. 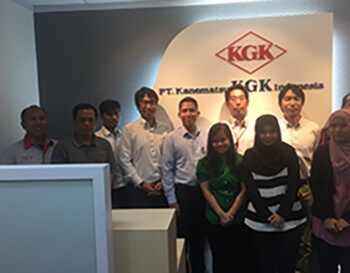 Kanematsu KGK Indonesia has expanded its business, focusing not only on the machine tools for parts of automotive, motorcycle, mold and die production, etc. but also on the industrial machinery such as food industry, textile industry, wood products industry, etc. 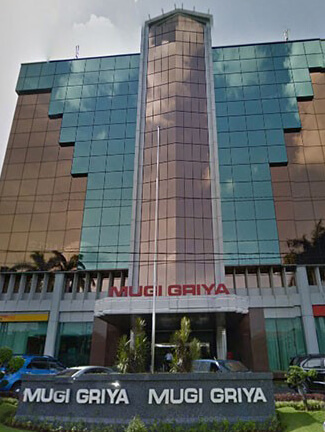 Now we have offices in Jakarta as head office and branch in Jababeka where our technical engineers are to support our not only Japanese customers in Indonesia but also, Indonesian customer as well. We are importing lots of variety of Japanese machinery, Taiwanese, and European with earning high reputation by our loyal customers as function of engineering, after sales support. To be the company that makes a wide contribution to society, PT. Kanematsu KGK Indonesia will continue to grow as a general machinery trading company that organically combines the machine tool business, industrial machinery business, energy and environment-related business, and supporting engineering functions together. : Sales of machine tools, industrial machinery, and peripheral equipment. Company Profile Kanematsu KGK Corp.
English Name : Kanematsu KGK Corp. Description of business : Sales of machine tools, industrial machinery, energy related machinery and peripheral equipment. KGK ENGINEERING MEXICANA S.A.DE C.V.
11F N0.61 Chung shan North Road,Sec.2,Taipei 104,Taiwan,R.O.C.